The Social Security Administration (SSA) is responsible for developing a record and obtaining medical evidence for every disability claim. If you have filed a claim with SSA, it is likely that you will receive a notice from them, requesting that you attend a Consultative Evaluation, commonly referred to as a CE. SSA will usually ask a doctor or psychologist that they contract with to complete the CE. SSA often schedules a CE when there is not enough medical evidence in the claim file to determine whether or not you are disabled. 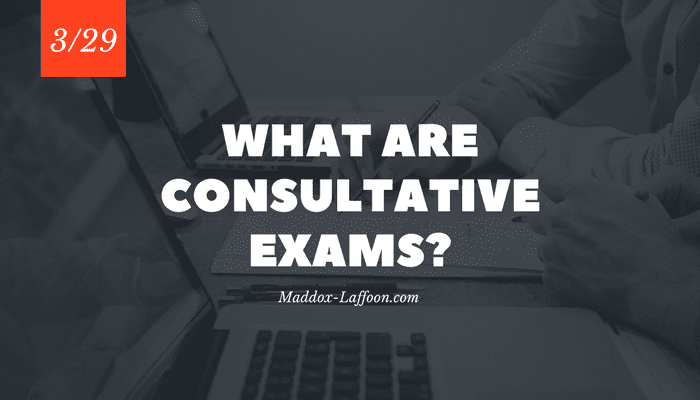 Here is how the Consultative Exam process works. SSA maintains a list of independent licensed physicians and psychologists, who have agreed to examine disability applicants for a small fee paid by SSA. A CE is not usually scheduled with your own doctor. You may have your own doctor perform the evaluation, and if (s)he is willing to do this, provide SSA with your doctor’s name, and ask them to make direct contact. The primary purpose of a CE is to provide SSA with a summary and overview of your impairments and the functional limitations they may cause. A CE may be ordered to clear up any contradictory medical evidence or medical opinion in your file. It may be necessary to obtain up-to-date blood tests, x-rays or psychological testing. A CE is NOT a new treatment provider or source of medical advice for you. It is common to feel that the CE was rushed and the doctor did not do a thorough job. This is because SSA pays the doctor the same flat fee, no matter how long the examination lasts. We have heard many reports of 10 minute CEs, which clearly is not long enough to gain an understanding of all the medical or mental health impairments. You should write notes immediately after your CE, memorializing the beginning and end times of your session with the doctor, what was said, and what precise testing was done. Consider bringing a trusted friend or family member to the CE with you, and ask that they are allowed to remain in the room during the examination. If the doctor refuses this reasonable request, ask why and write down the answer. Provide your notes to your attorney, and also make your witness available if (s)he was allowed into the examination room. If the CE report is inconsistent with treatment records (and it often is), your attorney can use this information to file an objection with the Administrative Law Judge. Although most ALJs will not exclude an erroneous or incomplete CE report, this may be an important issue if an appeal becomes necessary. SSA can schedule a CE, but it cannot force you to attend one. If you do not show up, however, your claim will likely be denied due to lack of cooperation or insufficient medical evidence. The wisest action is to attend the CE, bring a witness, take notes, and let your attorney know about it. If your doctor is willing to perform a CE, let SSA know this as soon as possible and ask them to cancel the CE with the stranger and to let your doctor know what information they need. For more information on Social Security Disability please feel free to browse our website or contact us anytime. We have been helping SSD and SSI applicants since 1980. We are here to help make the process of obtaining benefits as easy and stress free as possible for our clients.